Dr. Henry Wolfsburg, curator of the Hall of Bad Dudes, and fantasy football expert, has been enlisted to help you pick up the pieces of your fantasy football season after bums like Ray Rice, Doug Martin, Tony Romo, Jamaal Charles, Jordan Reed etc etc etc have ruined your week, and threaten to create a hole on your roster you can't recover from. The Dr. is in. And he's advising you to let someone else use their early waiver wire pick on Allan Hurns. And so here are the doctor's clutch fantasy pickups for week one. 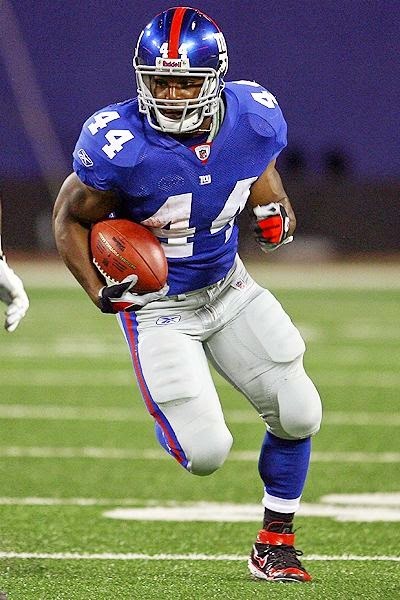 Ahmad Bradshaw. Colts. He's still available in a few leagues. If you saw the Sunday night Colts/Broncos game it was readily apparent the Colts were giving bust Trent Richardson a chance to prove himself worthy of the 1st round pick they wasted on him last year, but when it was time to play big boy football Ahmad Bradshaw was on the field. 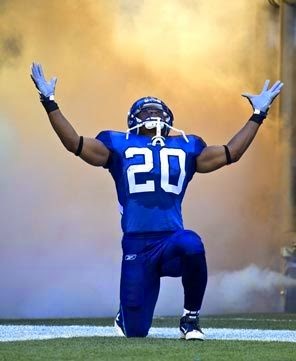 His pass receptions alone might be worth enough to make him a possible flex on your team going forward, but I believe as soon as next week he'll also be the main rusher in Indianapolis. if you're reading this, you more than likely lost a running back this week, and although Ahmad Bradshaw isn't the running back of your dreams, he'll be serviceable, until injured. Let someone else take Hurns, Forsett, and go for Bradshaw. Justin Forsett is alive. Turns out he's in Baltimore. And if you're a running back, it's not a bad time to be in Baltimore. It's possible the Ravens will go out and sign someone off the scrapheap this week after Ray Rice was finally released from the team after the video footage of him knocking out his now wife with his fist were released today. I guess some people had to see it to believe it. Shame on them. You remember Justin Forsett. He's teased you before. In Seattle. In Houston. He's got burst, quickness. Will he stick long-term in Baltimore? That's probably irrelevant to you right now that you need a running back pronto. Get Forsett this week. That's a picture of Jonathan Dwyer. You probably didn't know that. After tonight's Cardinals/Chargers game you may very well forget it again. Or Dwyer might become a partial solution to your week two running back issues. Andre Ellington has done what most of the people who drafted him suspected he might do and pulled up lame already, even before the first snap of the season. It was nice that after the injury was revealed it was also revealed he had been dealing with this injury for several weeks. Thanks. Apparently Stepfan Taylor has been abducted by aliens, because coach Bruce Ariens only sees Jonathan Dwyer. Pick him now if your waiver wire allows that, or contingent upon tonight's game add him to your waiver claims because once a player injures a foot it's unusual for them to make a full recovery anytime soon. No more pictures. You'll want to pick up James Starks this week, because after his stock dropped during the preseason games in favor of Dujuan Harris, once the real games started the coach seemed to trust Starks more. Starks won't ease your misery much if you drafted Eddie Lacy with your first pick, but the pity party is over, and it's time to get ready for week two. For those of you playing in 8 or ten team leagues, my first question is why bother, but if Terrance West or Mark Ingram are still available, take them. Same advice in 12 or 14 team leagues if you're playing with congenital idiots. I'd probably caution Ingram is only waiting to sabotage your team. He's not getting touchdowns, or carries, every week. Alright, wide receivers. Hurns, Markus Wheaton, Brian Quick, Steve Smith, Kelvin Benjamin, Andrew Hawkins. Replace Jordan Reed immediately. You were duped. So was I. When even the coach says something like "Even if he's ok he might not be on the field for a while" it's time to cut bait. Delanie Walker, Ladarius Green, and his backup Linus Pauling, or whatever his name is. Listened to dr. Wolfsburg last week, and added Bradshaw. Win.